Based on a story by Frank Wead. 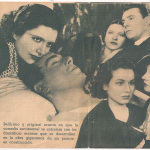 Film Editing by William Holmes. Art Direction by Anton Grot, Hugh Reticker & Arthur Gruenberger. See the Box Office Page for more info. Every Hollywood star has a select number of films which can really be written off as almost completely unmentionable. 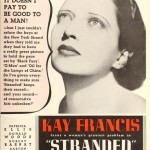 Stranded is one of those movies in the career of Kay Francis. 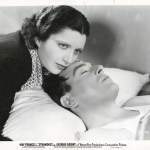 It neither hurt nor advanced her stardom, had little in its story and production to distinguish it, and was just and obvious attempt to cash in on the Kay Francis/George Brent chemistry by producing a cheaply made programmer with a major star. 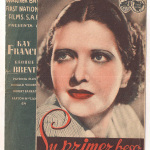 By the time Stranded went into production, Kay Francis had emerged as the most popular female at Warner Brothers, despite Bette Davis’ Oscar-winning performance in Dangerous (1935). 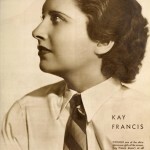 Kay’s box office hold was some-what represented in Stranded’s production value, with a replica of the Golden Gate Bridge—then under construction in San Francisco—as the center of it all. A lot of interesting footage of the construction of the real bridge was used in the film, which adds more energy to a film with virtually no other action. 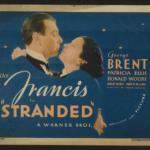 Stranded was based on Frank Wead’s “Lady with a Badge,” and directed by the excellent Frank Borzage, though even a master of his craft like Borzage couldn’t pump life into Stranded’s script (Delmer Daves, Kay‘s then boyfriend, wrote the screenplay). 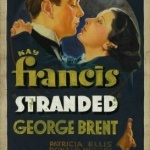 Aside from the construction scenes, the only other notable aspect about Stranded is the beautiful musical score by Bernhard Kaun and Heinz Roemheld. 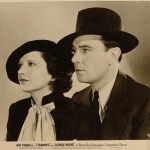 Production began March 6, 1935, and concluded on April 15. 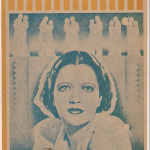 Released June 20, 1935, critics and audiences shrugged their shoulders with Kay Francis’ latest film. It wasn’t good. It wasn’t bad. It was just something to make a boring day go by a little quicker; mindless entertainment which doesn’t require much attention from the viewer. 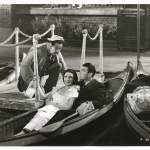 The film just simply asks its audiences to relax and enjoy Kay in beautiful gowns, surrounded by lush settings while looking absolutely gorgeous. 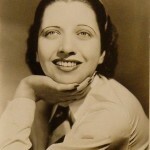 Decades later, Stranded simply asks us to do the same: sit back, relax, and enjoy the beautiful Kay Francis in all her alluring glory. 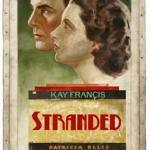 Stranded opens beautifully with quick-moving credits and a memorable score by Bernhard Kaun and Leo F. Forbstein. 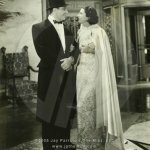 This makes one anticipate another charming bit of fluff from Kay Francis and George Brent such as Living on Velvet (1935). In some ways, the film delivers. In other ways, it doesn’t. She continues getting ready to leave when she is stifled by gunshot. 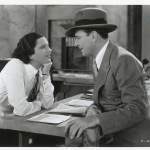 She turns around to find him lying on the ground of the railroad station, and calls and ambulance to pick him up. As it turns out, Velma has no serious intentions of work. She just wants to be able to spend more time with a boyfriend her mother doesn’t approve of. The next day, a rude contractor named Mack Hale arrives at the Travelers Aid desk to look for one of his workers. He insults both Lynn and Velma, before realizing that he and Lynn had something going on while they were children. When she was fifteen, he was the first boy to kiss her. Though she’s got a date with John Wesley, she cancels it to go out with Mack, much to the enragement of Velma, who’s got the hots for Hale. 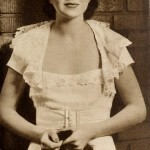 When Mack and Lynn arrive at the restaurant for their date, he turns to her with a smile on his face and realizes that “People look at you like a Goddess or something…that makes me a God.” Judging by the way she’s dressed, it becomes apparent to us that Lynn isn’t working for the money, but for the work itself and fulfillment of helping others. Since the two can’t seem to find a reasonable explanation for what they should do, they decide to not see each other again. Considering his own career, it becomes a little apparent why he has such strong feelings about the lack of seriousness in Lynn’s job. Mack is supervising the building of the Golden Gate Bridge, and runs his job with a tight fist. He doesn’t tolerate nonsense from anyone on such a serious undertaking. When a man named Sharkey tries to cause conflict on Mack’s bridge, a serious hell is raised. Sharkey hires men to give Mack’s workers alcohol, get them drunk and get them fired. When a worker falls to his death, an uproar is heard all over the job site. 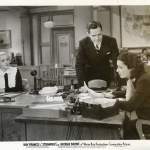 They gather together, at Sharkey’s intentions, and have a meeting about over-throwing Mack as supervisor. 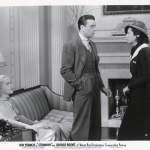 When Lynn finds out about Sharkey, and that Mack will not attend the meeting which determines his future as a contractor, she attends it herself and brings the men to their senses. 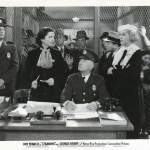 Sharkey’s identity is exposed, and Mack leaves the men to deal with him, saying that everyone one but the men who supplied the alcohol can return to work. And the picture ends with Lynn and Mack deciding that they can both continue on with their careers together. It took me a few tries to watch this movie in its entirety. I kept getting bored and turning the DVD player off with intentions of going back and watching it again. For some reason, there’s just a lack of interest in the story, but it does have some good moments. 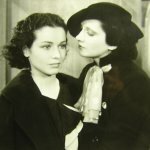 Kay’s part doesn’t give her much acting opportunity at all. The only time she acts is when she and Mack can’t agree on a lifestyle and break up, and when she attends the walk-out meeting at the end of the picture. 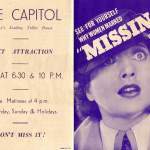 The latter is the most memorable of the film, with Kay—gowned smartly—pushing through a wild crowd of enraged, uncontrollable construction workers. She gets pushed around, her hat ripped off, her hair pulled, and finally making it to the stage shouting and screaming (one of the few times you’ll see Kay raise her voice so high on screen). She does good with the anger in this scene, and her ambition to save Mack is touching, considering the guy is such an asswhole. 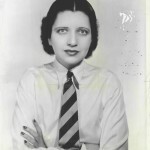 But other than that all Kay has to do is wear more smart clothing and flash her charming smile. 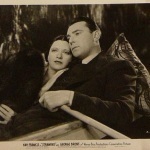 This is a real departure for George Brent. I have not had the opportunity to see a lot of his work, but I don’t ever remember seeing him as bold, masculine, and pushy as he is here. 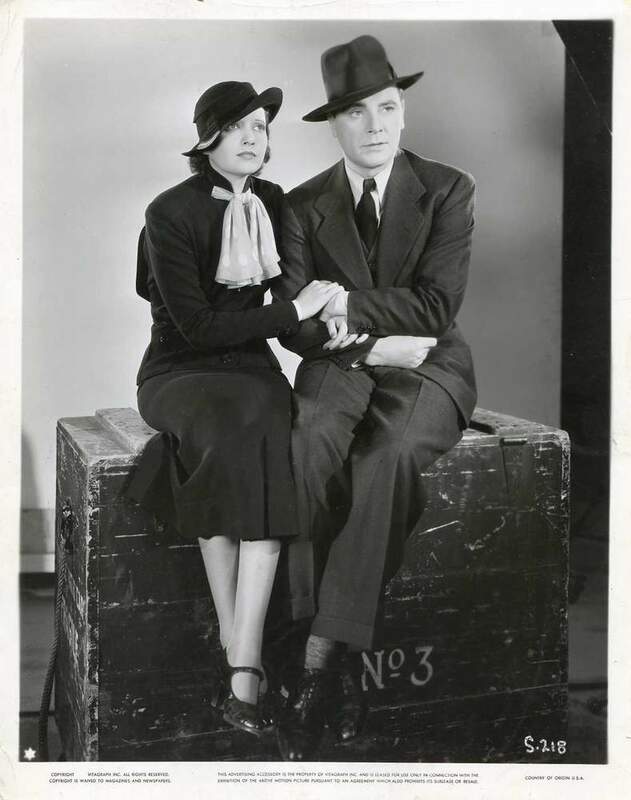 As Mack he is completely stubborn, but in most of his scenes with Kay he’s back to the same old George. 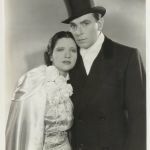 One wonders if this film was an attempt from Warner Brothers to broaden his appeal with the male audiences, and try to make him into a more Gable-kind of screen lover. 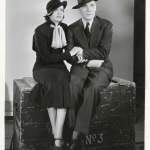 Rounding out the cast is Patricia Ellis as Velma, Barton MacLane as Sharkey, and William Harrigan as Updyke, a European construction worker who remains loyal to Mack even after he is fired by him. 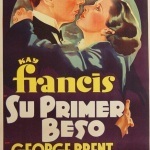 Hard to believe that this one was produced and directed by Frank Borzage. The film looks really good, but the story is dead. But as I wrote above, sometimes its nice to sit back and enjoy some mindless entertainment. 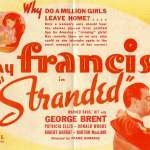 Stranded is the type of film to watch after a hard-day’s work on an early-summer evening. 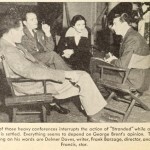 On the set of 1935’s Stranded. 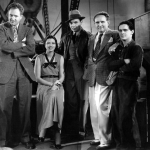 From left: Daves, Kay, George Brent, Frank Borzage & player.